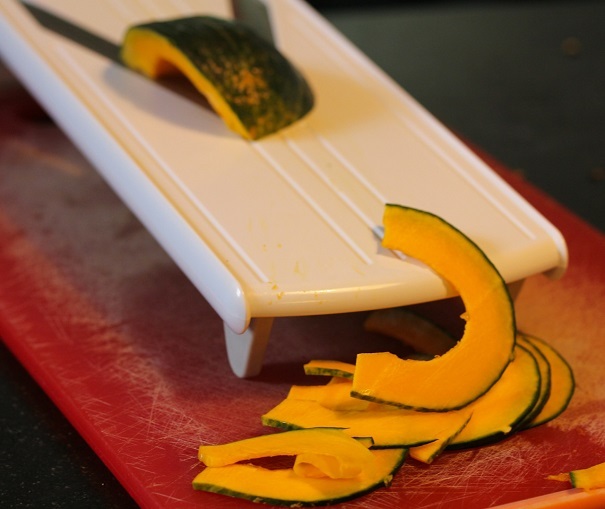 Using a mandolin, slice the vegetables as thinly as possible. 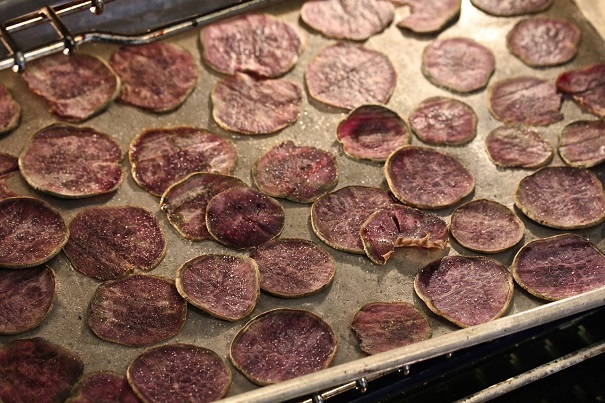 For the purple and yellow sweet potatoes, toss lightly with olive oil and salt. 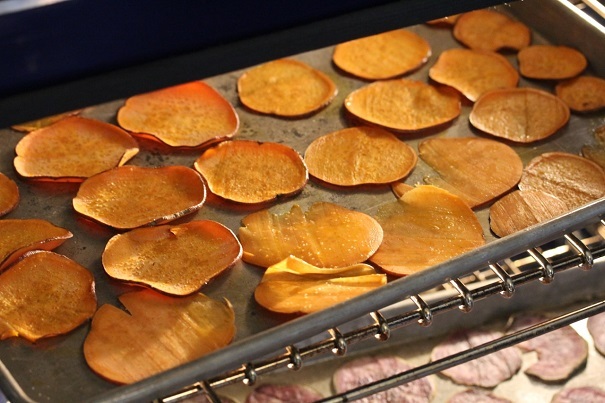 Spread chips out on two baking sheets with silicon baking sheets underneath. Chips should not overlap. Roast at 400 degrees, ten minutes on each side. Do not allow chips to turn brown. Salt chips again, adding a light sprinkling of cayenne to the sweet potatoes. Bread zucchini with salt, pepper, flour and then panko crumbs. Heat one inch of vegetable oil in heavy-bottomed pan to high heat. Fry in batches for about one minute each, until golden brown. Drain on paper towels. 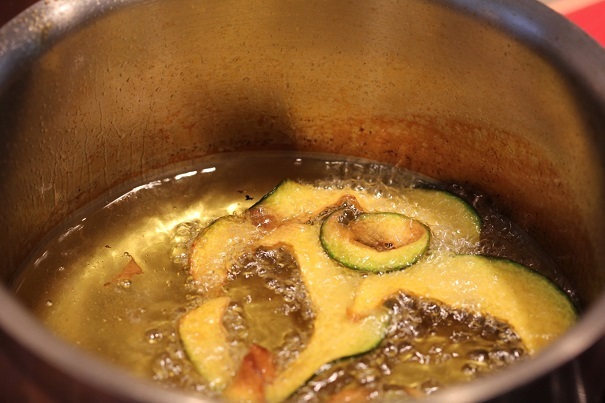 For kabocha squash, heat oil to medium high heat and fry for one minute. Drain oil on paper towels and salt. Heat butter and oil in large skillet over medium heat. Add onions, salt and pepper, garlic, sugar, and chicken broth and combine, stirring occasionally. Let onions cook at medium low until brown, and cool. 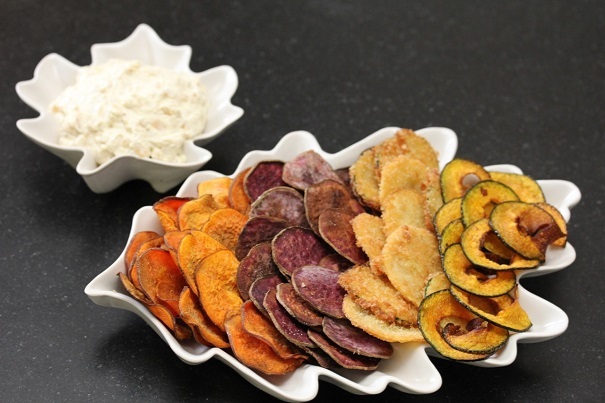 In a separate bowl, mix yogurt and cream cheese until smooth, and fold in onion mixture.